When replacing struts, it is always recommended that you replace the mount as well. Mounts may either consist of a complete strut mount assembly or a simple set of replacement bushings that will repair the mount to factory specifications. Strut mounts attach the strut to the vehicle's body and are a normal wear and tear item. 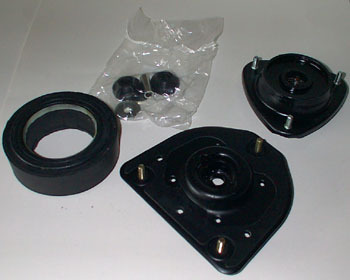 Strut mount assemblies incorporate a bearing or a bearing plate that allows the strut to turn as the wheels turn since they are connected. The strut mount also acts an in insulator between the road and the body of the vehicle to help reduce road and driveline vibrations or noises. When your vehicle's mounts start to wear out you will notice more and more road noise and vibration transfer into the cab as well as clunking noise over bumps. The symptoms of a worn out mount can be similar to a worn out strut, and typically the two will wear out at the same rate. Because Strut mounts are a normal wear and tear item, it is always recommended to replace your mounts when you change struts, every 50,000 miles. Replacing the mounts requires removing the strut and spring from the vehicle, so replacing one while leaving the other can lead to hundreds of dollars in extra labor costs if you replace just the struts and then replace the mounts a month later. A worn strut mount or bearing can affect your vehicle's alignment and steering. Since a vehicle alignment is required after replacing a strut or mount, replacing a worn mount is necessary for ensuring that the vehicle stays aligned. Many vehicles have serviceable strut mount bushings, spring insulators or other small strut components. In most cases, replacing these items is optional but recommended while replacing struts, both because of the previously mentioned fact that replacement will cost quite a bit extra down the line and because replacing items like insulators and bushings can greatly reduce NVH (noise, vibration and harshness) in your vehicle, which will make the vehicle much more pleasant to drive. • When Should You Replace Shocks? • What Is A Shock and What Does It Do? 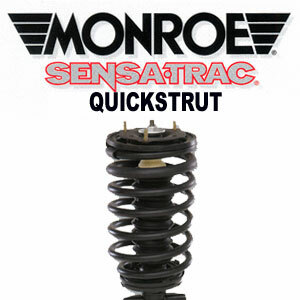 • What Is The Difference Between Shocks And Struts? • What Are Strut Mounts And When Should I Replace Them? 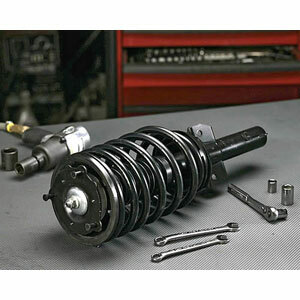 • What Are the Parts Of A Strut Assembly? • What Shocks Should I Use On A Lowered Car? • Can I Use an Air Gun To Install Shocks? • Can I Use Two Different Shocks On My Car? • My Shocks Are Easy To Push In, Are They Defective? • What Is A Strut Insert? • What Is Shock Aeration?